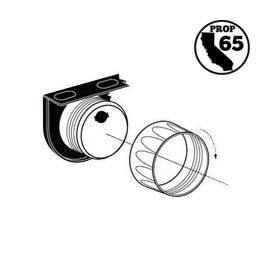 This accurate, durable, and simple to install iEquus 8000 Performance 2 5/8 in. mechanical pressure gauge features race inspired styling, superior 270-degree sweep for enhanced resolution, white dial, satin silver aluminum bezel, and backlit illumination for efficiently monitoring carbureted engine fuel pressure. Installation hardware included. Fuel Line and Gauge Isolator must be purchased separately. Fuel Line and Isolator not included.